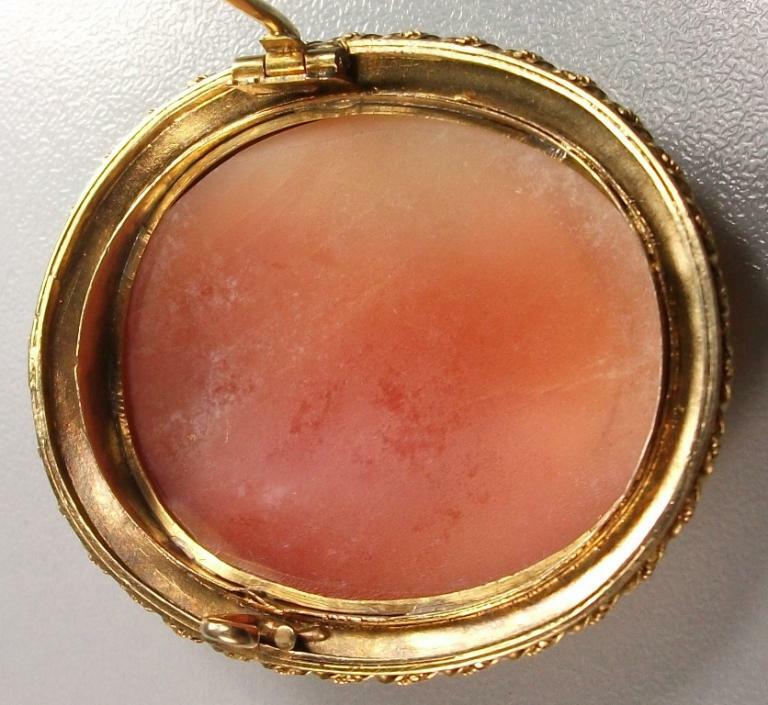 Material: Cornelian Shell, 15 k gold tested. 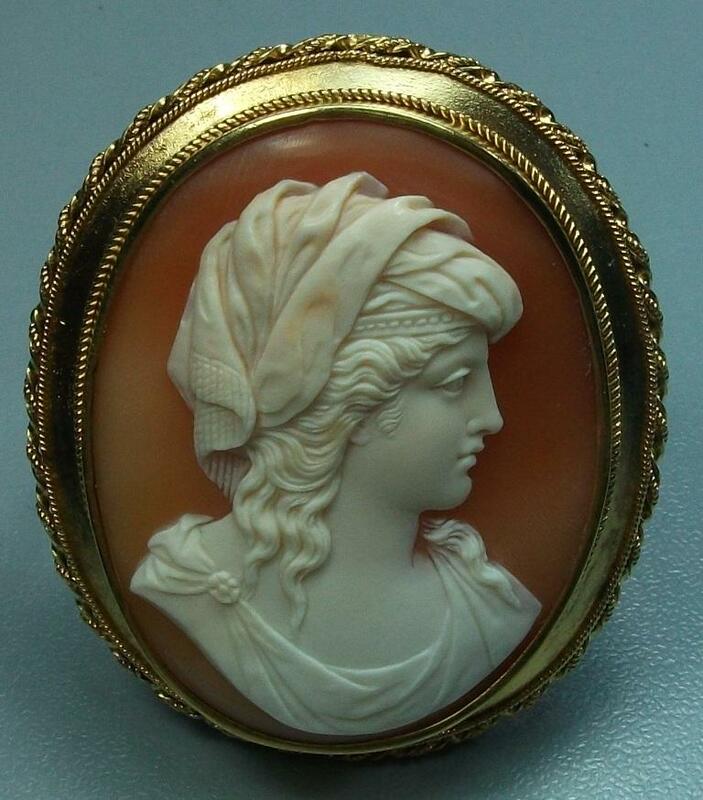 Size: 2" by 1 6/8 " only cameo is 1 5/8 " by 1 3/8 ". 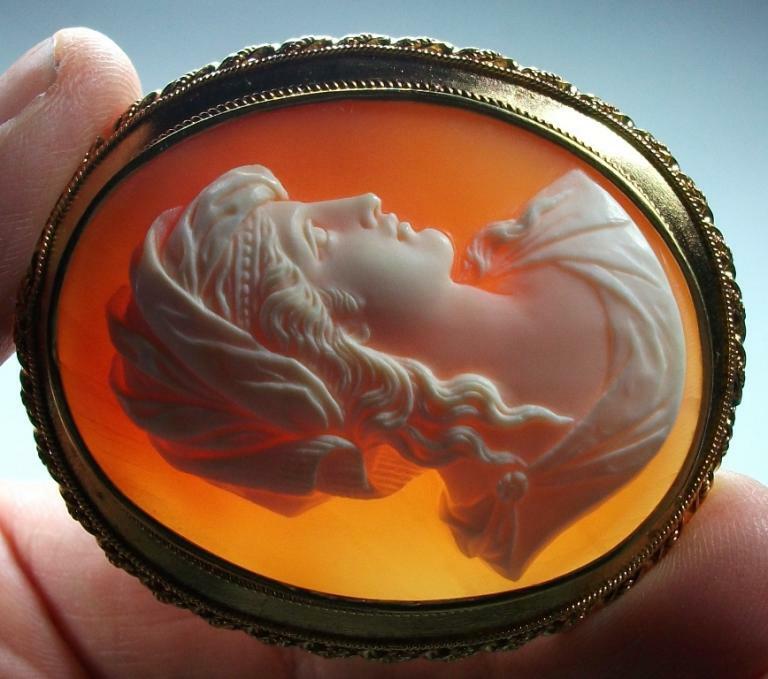 Conditions: Excellent, a few very slight natural internal lines, NO STRESS, only visible when cameo is backlit, not visible from the front or the back when looking at it by naked eye or with a loupe. 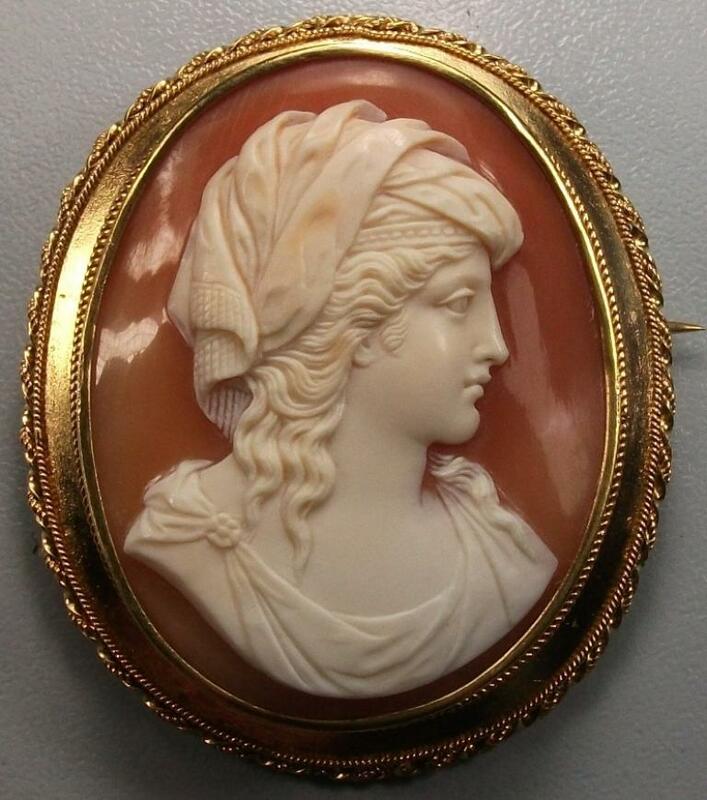 Museum Quality cameo depicting the head of a Sibyl (or one of a Muse). 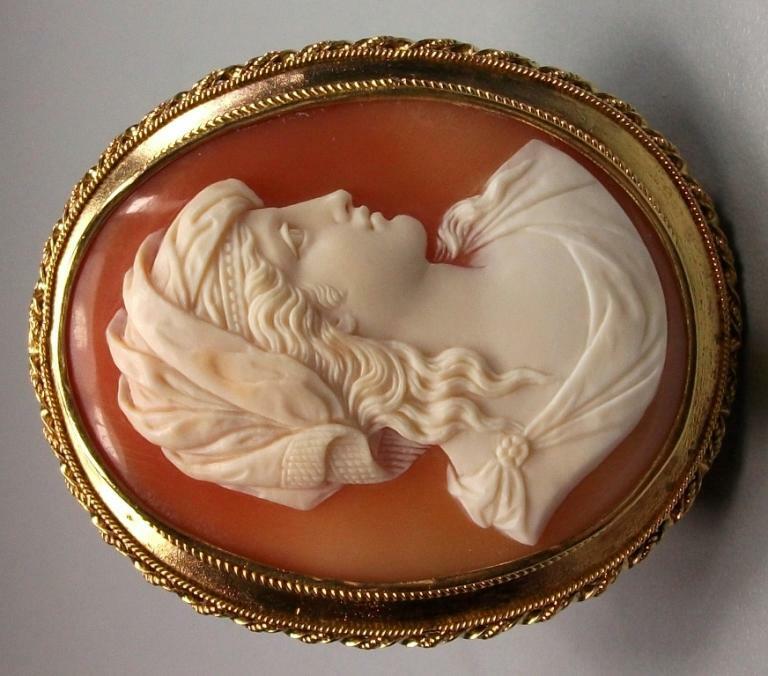 I have seen this subject on other cameos, of course none so finely carved as this one, and I remind I saw it, if I'm right, even on a painting but at the moment I can't remember which was. I'm researching and hope to find the original artwork where this subject is from. 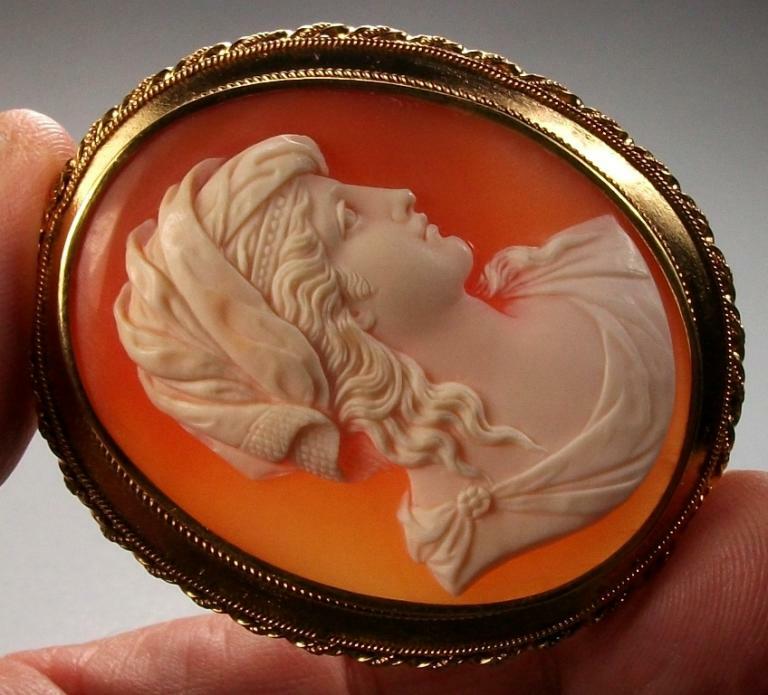 The beauty of this cameo can be easily seen looking at the pictures, the carving is crisp and clean, perfectly cut. Her face is pretty and masterfully designed. 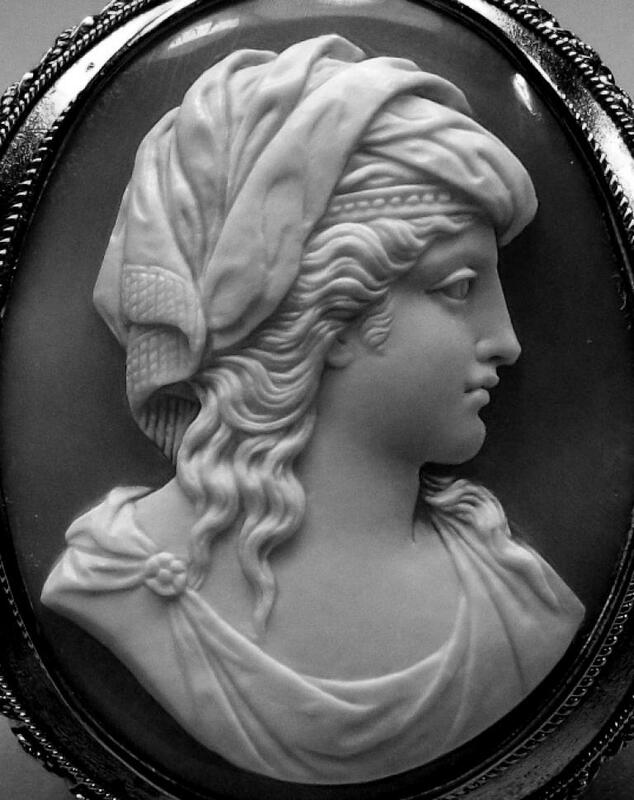 She wears a Greek turban so elegantly turned on her head. The turban is strongly folded and the carver made it so magnificently that it seems just real. Her nose and her lips are perfect and even the eye pupil is carved giving her a very human expression. 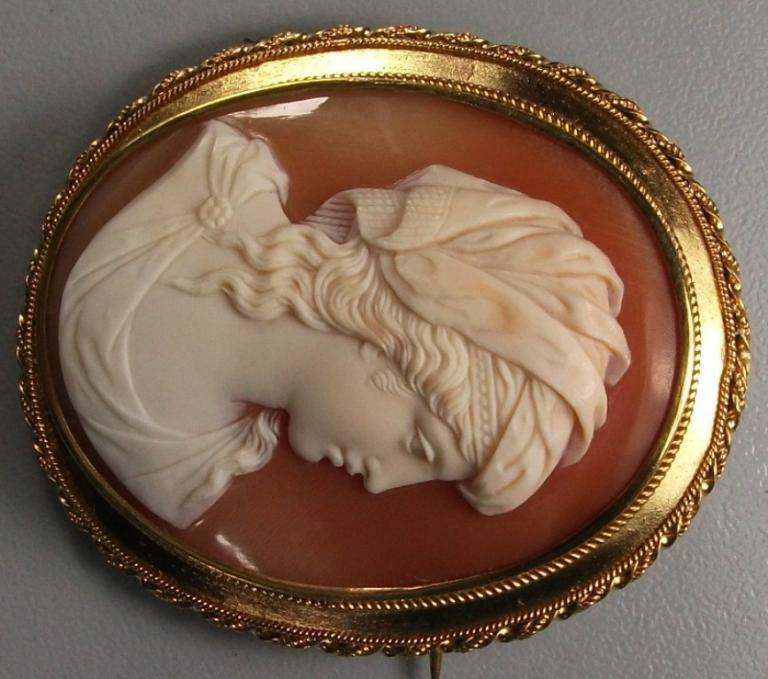 The touch of color on her turban, on her hair and even on her cheek give even more beauty to this gorgeous pieces. 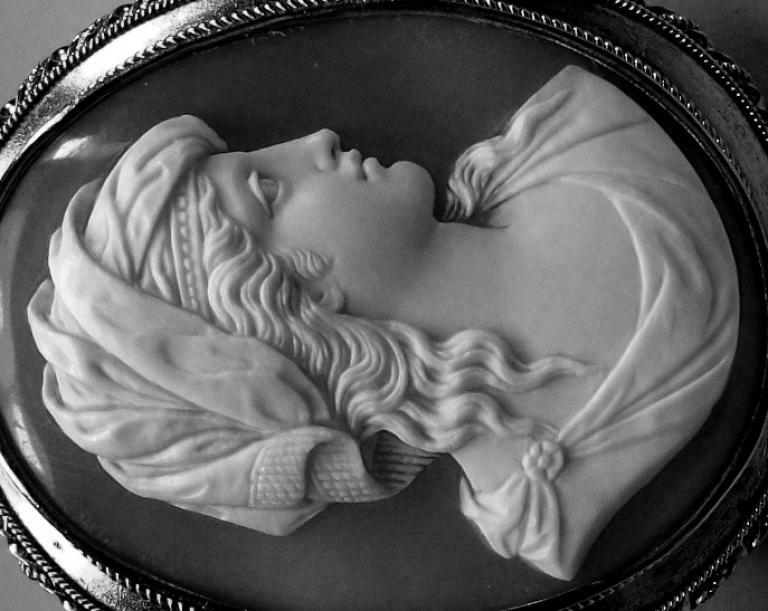 The cameo is high relieved and a wonderful gold frame completes this artwork. 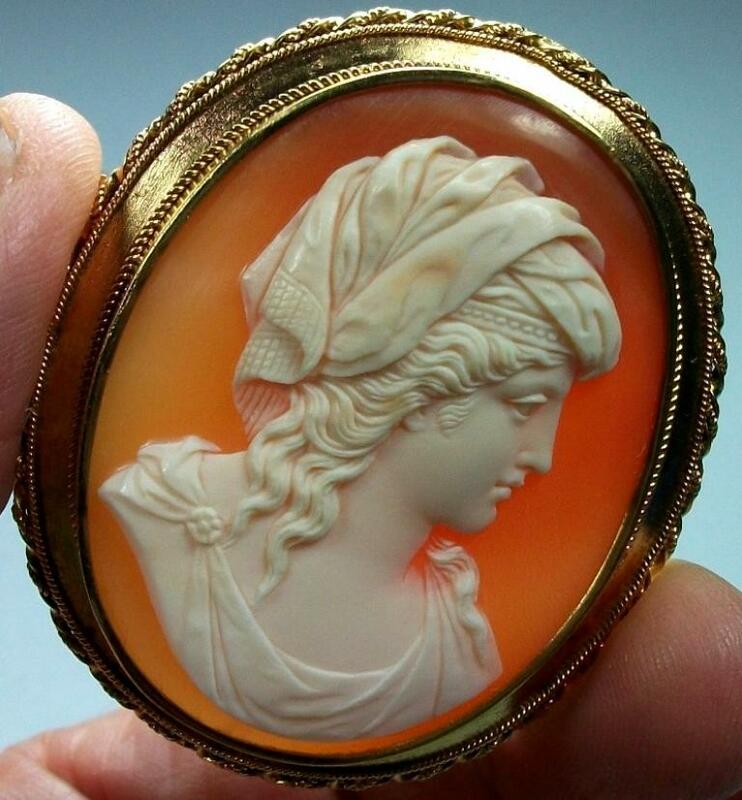 Another stunning cameo to be surely collected.